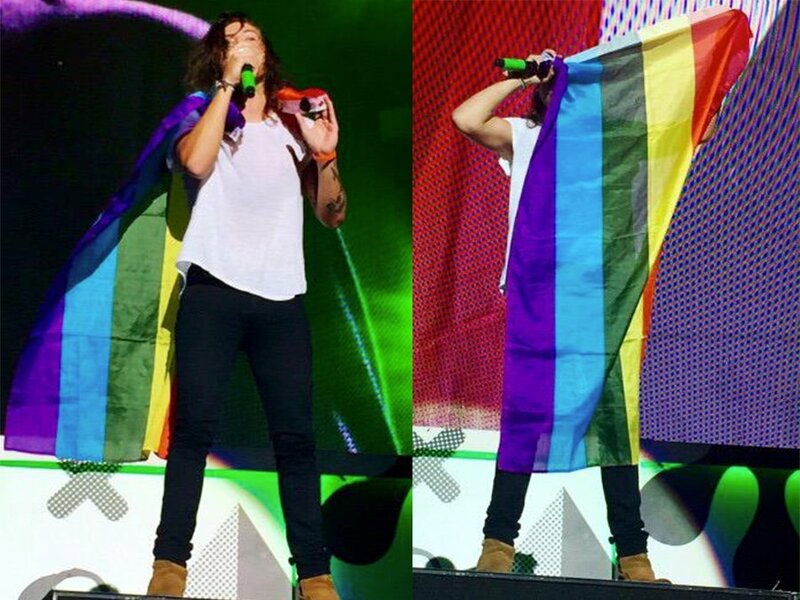 Last night at a One Direction concert in Buffalo, NY, Harry Styles walked onstage with a pride flag. Then, he wore it as a cape, and sang while waving the flag. And, of course, the One Direction online fandom has already gone crazy and made memes and vines and it's all over Tumblr.